HTS is one of the largest independent, built-to-order, commercial and industrial, full-service HVAC&R manufacturer’s representatives in North America. With 16 locations in Canada and the United States, the company has grown significantly since its 1992 founding. Architects, engineers, building owners, general contractors, mechanical contractors and facilities maintenance teams—as well as the leading manufacturers they represent—routinely turn to HTS for solutions to issues ranging from energy-efficiency and environmental issues to better building economics and comfort for building occupants. Their industry experience spans industrial, institutional, commercial and residential projects of all sizes throughout the US and Canada. 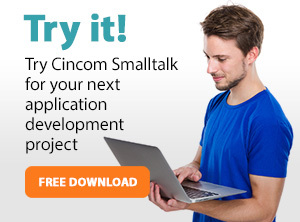 Solution architect, Bob Nemec, had been using Cincom Smalltalk for over 20 years and knew it worked. So when the team and Bob began working on an ERP system for HTS in 2012 … well, let’s have Bob tell the story. → FREE DOWNLOAD: Learn more about HTS (PDF). Replace a customer ERP system that's more than 20 years old.